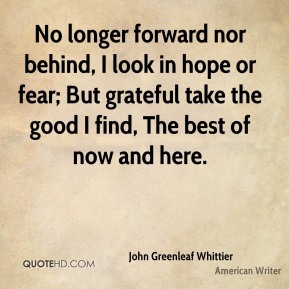 No longer forward nor behind, I look in hope or fear; But grateful take the good I find, The best of now and here. 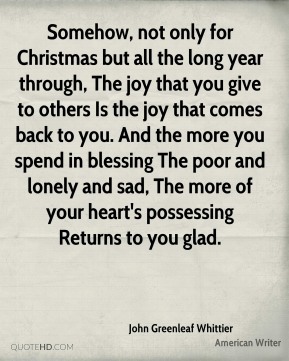 And a nameless longing filled her breast, - A wish, that she hardly dared to own, For something better than she had known. 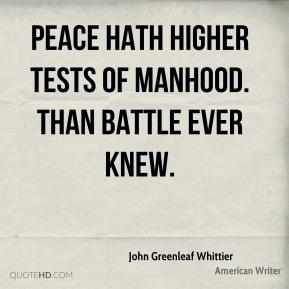 Peace hath higher tests of manhood. 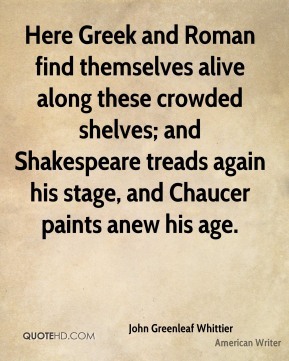 Than battle ever knew. 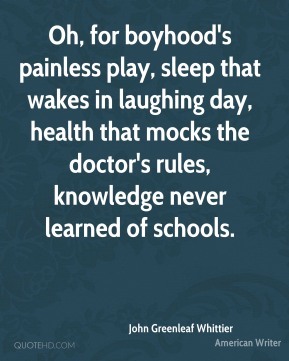 Oh, for boyhood's painless play, sleep that wakes in laughing day, health that mocks the doctor's rules, knowledge never learned of schools. 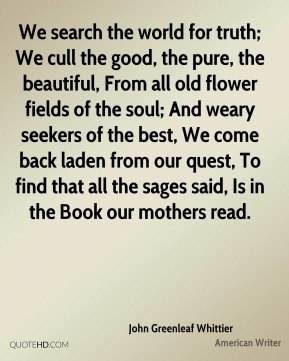 We search the world for truth; We cull the good, the pure, the beautiful, From all old flower fields of the soul; And weary seekers of the best, We come back laden from our quest, To find that all the sages said, Is in the Book our mothers read. 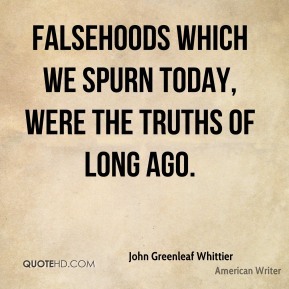 Falsehoods which we spurn today, were the truths of long ago. 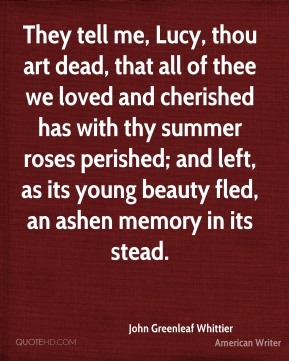 They tell me, Lucy, thou art dead, that all of thee we loved and cherished has with thy summer roses perished; and left, as its young beauty fled, an ashen memory in its stead. 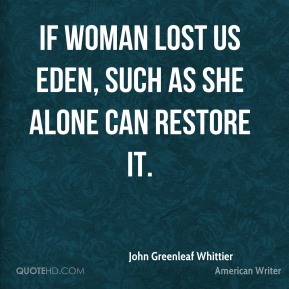 If woman lost us Eden, such as she alone can restore it. 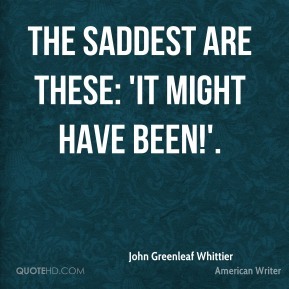 The saddest are these: 'It might have been!'. 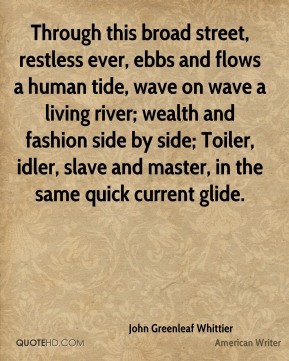 Through this broad street, restless ever, ebbs and flows a human tide, wave on wave a living river; wealth and fashion side by side; Toiler, idler, slave and master, in the same quick current glide. 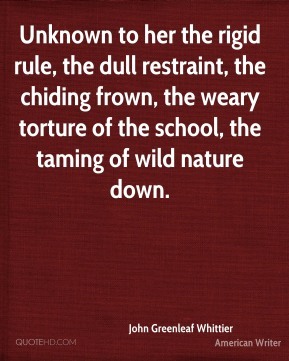 Unknown to her the rigid rule, the dull restraint, the chiding frown, the weary torture of the school, the taming of wild nature down. 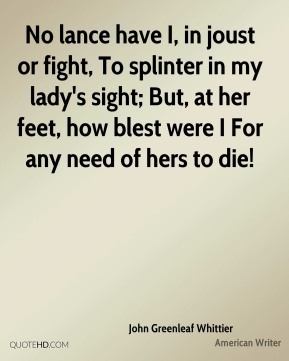 No lance have I, in joust or fight, To splinter in my lady's sight; But, at her feet, how blest were I For any need of hers to die! 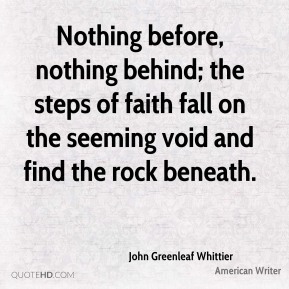 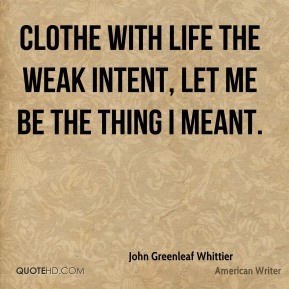 Nothing before, nothing behind; the steps of faith fall on the seeming void and find the rock beneath. 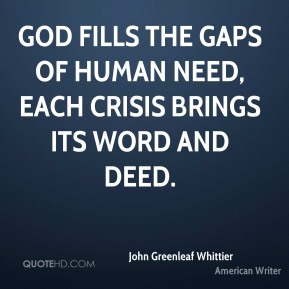 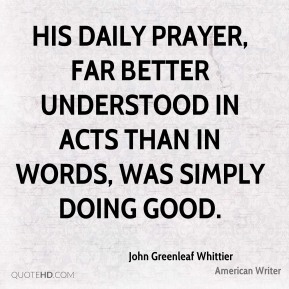 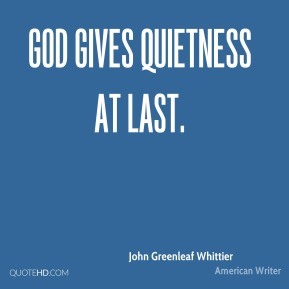 God fills the gaps of human need, Each crisis brings its word and deed. 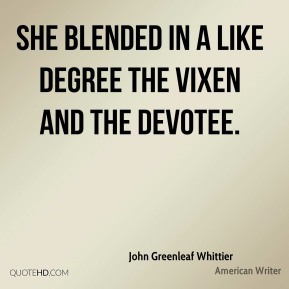 She blended in a like degree The vixen and the devotee. 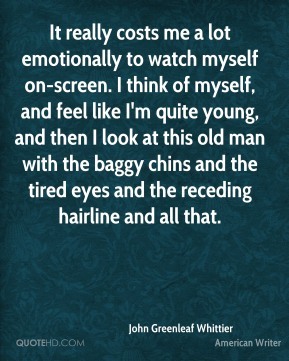 It really costs me a lot emotionally to watch myself on-screen. 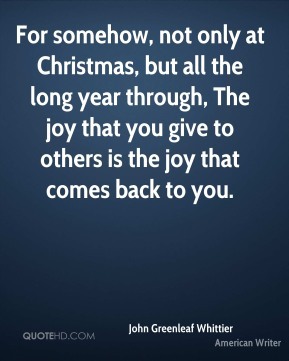 I think of myself, and feel like I'm quite young, and then I look at this old man with the baggy chins and the tired eyes and the receding hairline and all that. 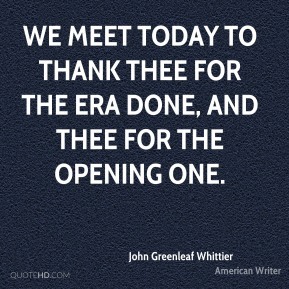 Ah, that I were free again! 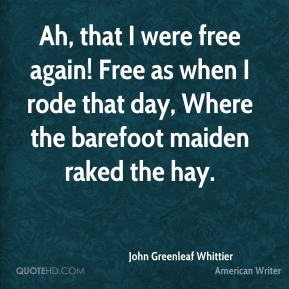 Free as when I rode that day, Where the barefoot maiden raked the hay. 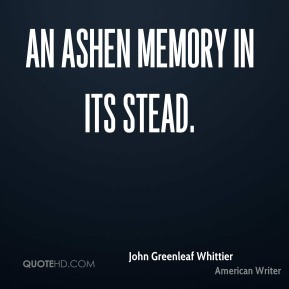 An ashen memory in its stead.